John Keller’s is a sedate existence. He lives by himself in an apartment on First Avenue in New York City, walks his dog, does crossword puzzles and occasionally flies out of town on business. When his travels take him to a small town, he frequently wanders about, pondering what it would be like to live in a quaint, out-of-the-way place. Eventually though, he settles down and does what he’s come to do. John Keller kills people. Keller is the creation of Lawrence Block one of the best known and best selling names in crime fiction. He penned his first story when Eisenhower was in the White House and he’s hardly paused for a breath since. He’s authored more than 50 books and countless articles and short stories. He has several book series going; most well-known is the Matt Scudder series. Scudder, a detective in New York City, is a recovering alcoholic. Although when the series began Scudder was not recovering, attending Alcoholics Anonymous meetings are now a big part of the character’s life. Block has won multiple Edgars for novels and short stories (not to mention a raft of other awards), has written scripts for large and small screens and even posts regularly on his blog. You can read him online and join his 7,600 followers. 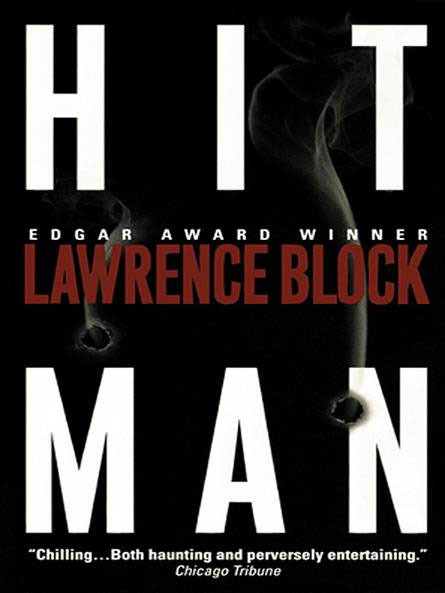 Hit Man is the first in a series of five books: one novel and four story collections. This book contains 10 closely linked short stories in more or less chronological order. We’re introduced to Keller and his trade in the first installment and learn a little more about him with each story. As you might imagine, every story revolves around a particular murder assignment, usually taking place in a different city. Keller receives his assignments from “the old man” who lives in a large house in White Plains, NY. Usually Keller visits the White Plains house and has iced tea or lemonade with “Dot” a vaguely sketched, middle aged woman and seemingly one of Keller’s only friends. He then goes upstairs to find out who his next target is. Each story stands on its own, often with a delightful twist ending–predictably, linked to how Keller accomplishes his objective. Rarely does he use a gun; flying out on his assignments pretty much precludes taking a firearm along. He improvises, and in more than one story, the murder weapon is uniquely tailored to the circumstances or the victim. This is particularly true in “Dogs Walked, Plants Watered” where Keller’s weapon of choice is ingenious and amusing. Unlike the Scudder series, the Keller stories are third person but with Keller himself as the only point-of-view character, so we experience the stories solely through his eyes and thoughts. We don’t learn much about his private life–such as it is–in any one story. In several of the stories we see him with Andria, his dog sitter who becomes his short-lived, sleep-in girlfriend. She discerns what he does for a living and eventually leaves–not necessarily because Keller is a hit man–and takes the dog with her. Many of the stories contain Keller’s mundane digressions–having to do with stamp collecting, pets or small-town life–that draw you temporarily into Keller’s quiet reveries. “…you’ve always got this fantasy living the good life in Elephant, Montana,” a girlfriend tells him once. “Every place you go you dream up a life to go with it.” But just when Keller’s daydreams lull you into thinking you’re reading introspective chic lit, he strangles an unsuspecting victim and catches a plane home. “Keller’s Therapy,” the third story in the book, about his relationship with his psychologist, earned Block an Edgar Award. My favorite story is “Keller on the Spot,” which sees him save someone from death, then form an unusual relationship with his assigned target. If you haven’t figured it out by now, Keller is not the slick assassin dressed in black, bristling with exotic weapons who dispassionately dispatches his victims. Morality is an underlying theme for the stories. Keller’s code prohibits him from petty larceny unrelated to an assignment and he occasionally contemplates the ramifications of his murderous acts. But ultimately, although lacking in dash, he performs the deadly rites he’s been hired to do. Afterall, change one vowel in his name and you spell his occupation.